Did You Visit La Cabane du Monde? Let La Cabane du Monde know why they're great—and if there's anything else you'd like from them. May we share your email address with La Cabane du Monde please? Thank you! We'll pass your feedback along to La Cabane du Monde and we may feature your kind comments on Kynder! An enchanted home away from home nestled into the Provencal countryside. Come here to commune with wild nature and get away from the stresses of daily life. 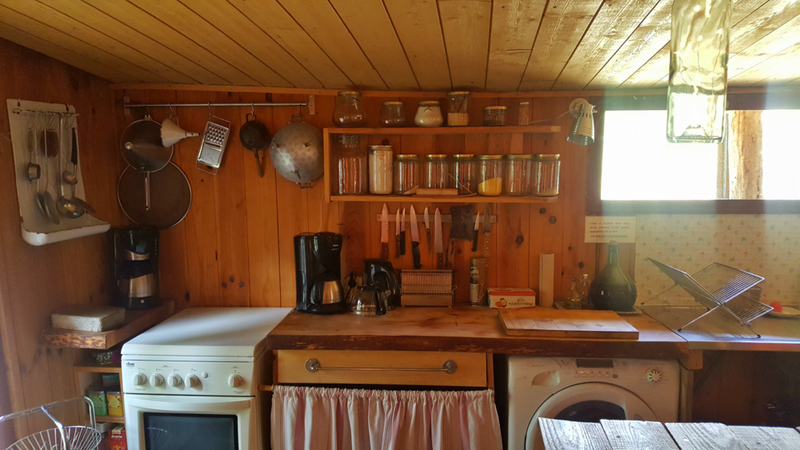 Quite a bit larger than their cozy cottage Le Cabanon des Elfes, here you may relax into a comfy sofa to read a book while looking out at the trees... slow cook a full meal... walk through the Luberon Regional Park and the 'beyond organic' vineyard of Marc and Shirine. Considered a Refuge LPO and members of The Foundation of Humanity and Biodiversity, Shirin and Marc's farm, vineyard and wine making is located right on their property. They are kind and generous hosts who are happy to share their remarkable practices and sustainable lifestyle with you. You'll also be welcomed by a farm full of well-loved animals. You will never forget the magic of this place. 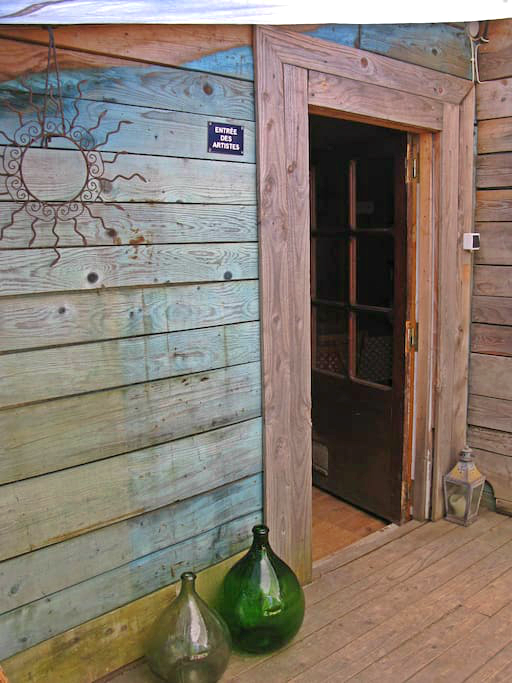 Constructed of wood, straw and recycled materials, and equipped with furniture from barter, flea market and recycled objects. Promotion of green tourism in the area including cycling and hiking. Beyond sustainable vineyard and winemaking processes. Family friendly (14 years old + due to natural terrain). No smoking please. Not wheelchair accessible. Check in between 3:00PM - 8:00PM, check out by 12:00PM. From 55 euros per night.